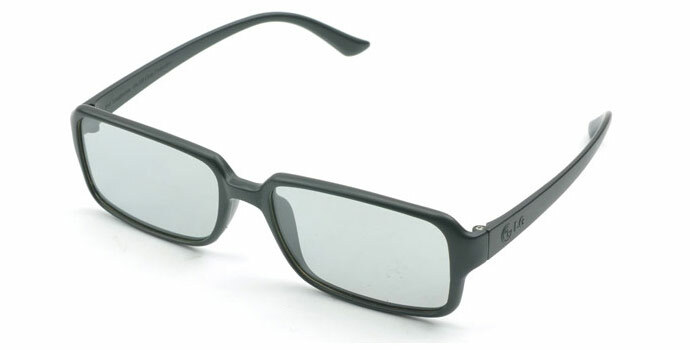 Not that long ago Nvidia has introduced their “Optimized for Geforce” program that allows some certified passive 3D monitors such as Acer HR274H and Acer GR235HA to work with the 3D Vision video drivers, allowing you to use the full 3D Vision functionality with a passive 3D display. 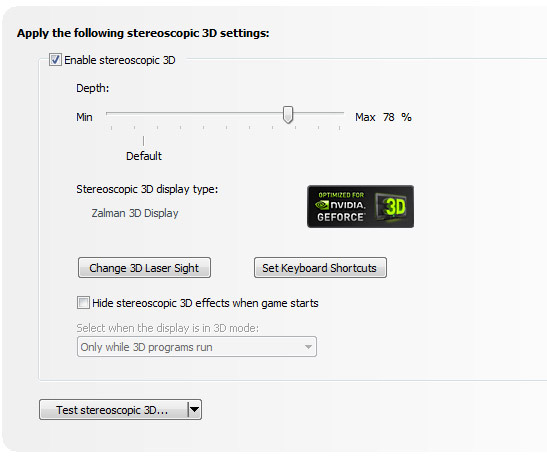 Prior to that in the old stereoscopic 3D drivers Nvidia had support for passive 3D monitors from Zalman, and although the newer Zaman 3D monitors were bundled with the iZ3D driver and not anymore with 3D Vision, they actually do work with 3D Vision and get optimized for the Optimized for GeForce functionality. 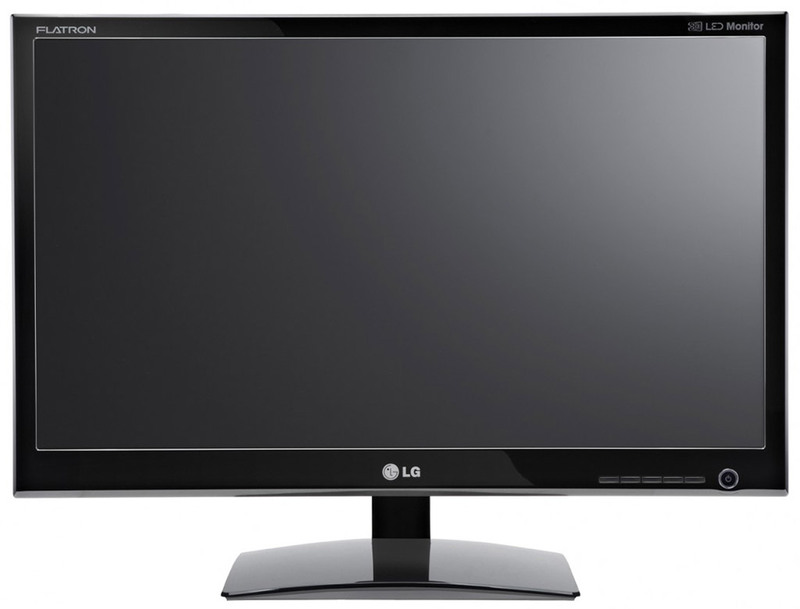 If you have a passive 3D LCD monitor or even a passive 3D HDTV that is not supported by 3D Vision (Optimized for GeForce) you can actually quite easily make it work by installing a monitor driver with EDID override that will tell Windows and the video drivers that you actually have a different compatible display. 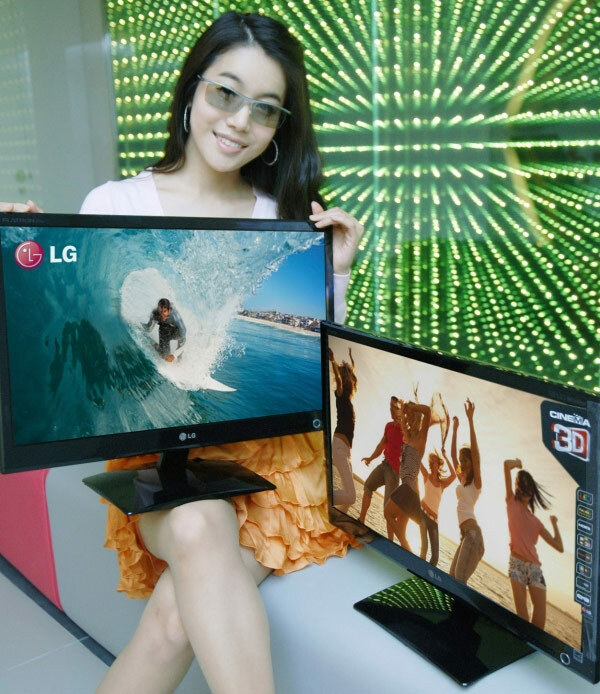 Here is an example using LG’s D2343P passive 3D monitor with installed Zalman ZM-M240W 3D Monitor EDID Override and the LG gets recognized as a Zalman 3D monitor. You need to install the INF driver from the link over the monitor driver you currently have installed from the Windows Device Manager, using the Have Disk option and if when get a warning message just confirm that you want the driver installed anyway. After that you may have to restart Windows in order for things to start working and the Nvidia video drivers to be able to properly recognize and activate the 3D support. Opening the Nvidia Control Panel and going to the Stereoscopic 3D settings page you should see the “Optimized for GeForce” logo if everything is working properly and clicking the Test Stereoscopic 3D button should bring the Nvidia 3D test on the screen that should be working just fine when you put on the passive 3D glasses that came with the monitor. After that you can the 3D Vision Photo and Video Player and even play games in stereo 3D mode just like you would with an active 3D display and with the 3D Vision glasses. Of course using passive 3D would mean that you would have some limitations like the half vertical resolution when in 3D mode, the lower vertical viewing angle etc., but still you will be able to use passive 3D displays with your Nvidia graphics card and with all the features that 3D Vision offers, an not only with the iZ3D or the DDD TriDef 3D drivers, so you will simply have one more alternative available. I’ve tested this method and it works just fine even with the latest 295.51 beta video drivers from Nvidia, so you should have no trouble making it work. If you try this on your passive 3D setup, feel free to share your feedback and how it works with your specific 3D hardware, thanks to Butmuncher for finding out about this method. Update: Since the Zalman EDID override does not support audio for HDMI connection to the monitor, you should use this driver only for DVI connection to the passive 3D display. If you wan to use HDMI connection and have audio over the interface as well, then you should install the Acer EDID override driver. Both INF files are included in the archive below, and special thanks to Greg Gilbert for providing the dump from the Acer HR274H display.